The Honourable Shannon Phillips, Alberta’s Minister of Environment and Parks, is accompanied by CanWEA president Robert Hornung on her way to deliver a keynote address at CanWEA’s 2017 Alberta Summit on May 9 in Edmonton. It’s a busy time in Alberta’s wind energy sector right now. The Alberta Electric System Operator (AESO) launched a competitive procurement for 400 MW of renewable energy in March, and companies are actively working to get their projects ready and respond to the AESO’s recently released request for qualifications. With 8,200 MW of wind energy on the AESO’s project list, and some of Canada’s most eager and experienced developers active in the province, the competition is going to be intense. This first 400 MW request for proposals is only the first step in Alberta’s plan to add 5,000 MW of new renewable energy to its grid by 2030. This is a long-term opportunity both for our industry, and for Alberta. Getting it right is critical. That’s why, even with so much on their plates right now, more than 180 industry participants, including developers, manufacturers and contractors, gathered in Edmonton last week for CanWEA’s first Alberta Summit. They were there to talk about how to ensure the first round of new wind projects, and the ones to follow, have a positive impact on the economy, communities environment, and the electricity grid. We know Albertans are counting on us. 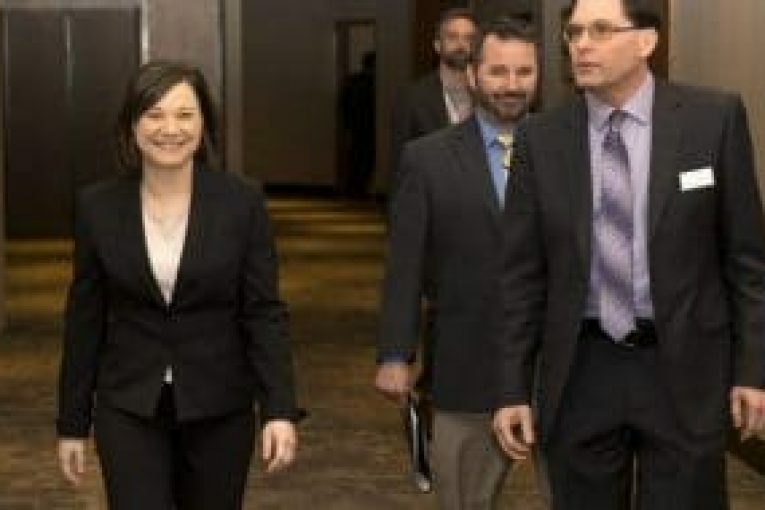 During a keynote address to the summit, Environment Minster Shannon Phillips talked about how her government’s renewable energy plans are an important part of its strategy to create jobs, diversify Alberta’s economy, and reduce greenhouse gas emissions. Our job is to deliver all of those benefits in a responsible and sustainable way. We spent a lot of time at the summit talking about how traditional energy companies, battered in the last couple of years by the downturn in oil, can expand into wind and profit from the billions of dollars of new investment that will flow into the province over the next 14 years. In fact, CanWEA is in the first stages of a study to show Alberta businesses exactly where those opportunities lie along the wind energy supply chain. Our industry also provides substantial economic benefits to communities that host wind farms, but those projects can only succeed with the support of local residents. One of the most well-received sessions at the summit focused on community engagement, where we heard from farmers, municipalities and First Nations groups about how we can work with them to build meaningful, long-term relationships based on trust, transparency and collaboration. Other sessions during a jam-packed day looked at the proactive steps industry and government are taking to manage wind’s environmental impacts, the changes to Alberta’s electricity market that will be needed to enable the transition to a low-carbon future, and the innovative ways technology providers and system operators are developing to reliably integrate increasing amounts of wind energy on the grid. Some of these discussions may seem far removed from the day-to-day business of building and operating wind farms, but every person at the Alberta Summit understood that they will be critical. Wind energy has been the largest source of new electricity supply in Canada in the last decade, and is not only the least expensive form of non-emitting generation available today, it also competes head-to-head with new gas-fired plants. We are a mature industry and a mainstream player, and we are poised to become a significant part of Alberta’s electricity supply mix. Because of that, the wind industry must play a key role in the evolution of the province’s climate and electricity policies. We have a responsibility to continue working with all stakeholders on solutions that will support the government’s goals, as well as the electricity system’s requirements. As the Alberta Summit amply demonstrated, we’ve got a lot to contribute. I invite you to peruse photos and captions from the CanWEA Alberta Summit below. Previous : Adding more wind to the Ontario grid: no problem!